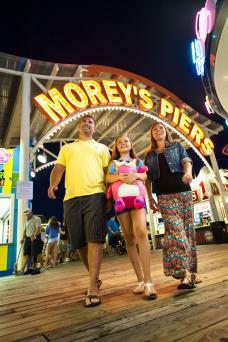 No visit to the New Jersey shore would be complete without a visit to Morey's Piers. This is one of the great boardwalks of the United States with decades of history, iconic food, and a variety of attractions and entertainment for everyone to enjoy. There's almost too much to see and do, but a few insider tips can help you make the most of your visit. 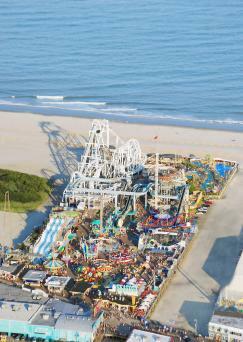 Morey's Piers in Wildwood, New Jersey has been in operation as a family business since 1969. The park has received a variety of accolades, including being named one of the 12 Best Beach Boardwalks by Family Vacation Critic and Best Seaside Park in the World by Amusement Today. With over 100 rides and attractions spread over three piers, two water parks, and six beachfront blocks, Morey's Piers is a classic boardwalk with a modern feel and vibe, and it's ideal for the entire family. Kristel Fillmore, Content and Event Manager for Morey's Piers and Beachfront Water Parks and Resorts, was more than happy to share her insider's view and tips about this classic amusement park. Love To Know (LTK): Morey's Piers features three piers. Can you offer some reasons why each pier is unique and worth visiting? Kristel Fillmore (KF): Surfside Pier is all about family fun. Thrilling rides like The Great Nor'Easter coaster and AtmosFEAR have been joined by Kong, a favorite amusement park ride. There's great food, too. First time visitors may not know this, but Curley's Fries is a big favorite here, and they might even catch sight of Curley, himself. I would have to say Mariner's Landing Pier is the most traditional of all three piers because of all the classic boardwalk rides and attractions. I think this is what everyone envisions when they plan a beach boardwalk trip. With beloved rides like the Tea Cups, Bumper Cars, Carousel and Giant Wheel, there's something for everyone. The Ghost Ship is a huge favorite, so don't miss that ride. Visitors should also be sure to hit Waffles and Ice Cream when they're ready for a snack after all the play. Adventure Pier is definitely intense. 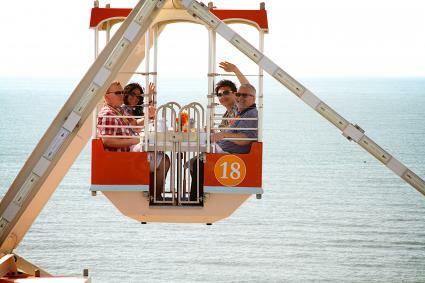 From high thrill extreme rides, like SkyCoaster and SkyScraper, to the 3-Point Challenge Basketball Game and World Cup Challenges, visitors will find plenty of attractions to make their hearts pump faster. When they're ready for a snack break, they should definitely try one of the delicious BeaverTails pastries while they reboot. LTK: When is the best time to visit Morey's Piers? KF: Of course, I think it is every day. If you want to avoid crowds, I'd recommend visiting before Memorial Day or after Labor Day as it is quieter during the day. If you want to visit the water parks, Sunday mornings are a great time to go. LTK: What is the best order to visit the piers and water parks? KF: Water parks in the morning and the piers at night. And more specifically, I would say Raging Waters, Ocean Oasis, Surfside Pier, Mariner's Pier and finally Adventure Pier. LTK: Are there any special deals or savings of which people should be aware? KF: Before they come out to play, definitely check our website for weekly specials each and every day during summer as new information gets posted frequently. When here, look for specials posted at locations on the boardwalk itself, especially at the restaurants, so it's well worth keeping the eyes peeled. LTK: What is the best way to save money at Morey's Piers? KF: I would say that without a doubt, it's the Dollar Dogs on Mariner's Pier! They are great and a hard bargain to beat, these days. LTK: What is the best tip for families with small children? KF: Spending the day exploring both the Surfside and Mariner's Piers. 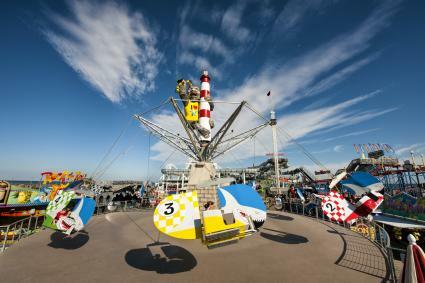 Each has kiddie rides and rides for the whole family to enjoy together. For families wanting some water park fun, check out Raging Waters two special play areas. You can have a blast at Shipwreck Shoals with the water cannons. Over at Camp KidTastrophe's there are climbing ropes, cargo nets, water sprays, and slides with tons of action for the everyone, big and small. LTK: What is the best kept secret for teenagers? KF: We have an amazing app called WildTRAX. It lets teens, or anyone for that matter, challenge friends up the ride leader boards, share photos, even earn badges! It's a cool way to stay connected with family and friends while playing out and around the boardwalk. LTK: Are there any little known events or activities that are hidden gems? KF: On Surfside Pier at the Ocean Oasis Waterpark & Beach Club you can reserve a Private or Family Cabana. It makes for a great way for families to have a home base, take a break, and relax. Another unique thing is our Breakfast in the Sky where you can have your orange juice at the top of the Ferris Wheel. The tables are set with white linens and china and the menu created by our Executive Chef, Wally Jurusz. In fact, Breakfast in the Sky has been featured on Travel Channel's Epic Attractions. I mean, start your day at the top of the world. I can't think of anything better. LTK: Where is the best place to eat (for an individual, for a couple, for a family) and best thing on those menus? KF: For the family, I would have to say Jumbo's. It's got a great kid-friendly menu and family atmosphere. It also has a heated outdoor seating area that stays warm even on the chilliest days and nights and a back deck that is perfect for family reunions or birthday parties. And the pizza is the best thing on the menu. It is absolutely the biggest slice I've ever had. It's crispy, fresh, and I probably eat way too much of it during the summertime. Here's a good one for couples. Check out the upper deck at Joe's Fish Co., on Mariner's Pier, for Friday Night Fireworks during the summer. It's a perfect place to relax and there will be all kinds of different specials happening, too. I have to say Stubborn Brother's Beach Bar & Grill is a great place for a solo person to go because the vibe is ultra cool atmosphere, live entertainment, and, of course, you can't go wrong with Captain Jack's Pirate Punch. Hanging out in the over-sized Adirondack Chairs overlooking the ocean is so worth a stop on its own. LTK: What free events are available at the piers? KF: There are lots of things that happen year around at Morey's Piers, but high on Kristel's list is Easter Sunday which is choke full of fun including pictures with the Easter Bunny, strolling entertainment and an Easter egg contest. On Mother's Day moms get to ride free and, not to leave out dads, Father's Day lets them ride free, too. LTK: Is there anything that guests might be surprised to find on Morey's Piers? KF: That would have to be artBOX. The gallery is in such an unexpected location… on a boardwalk. 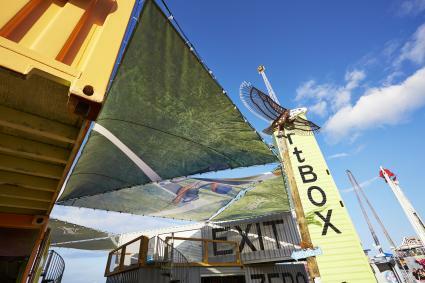 artBOX is what happens when a stuffy art gallery meets a seaside boardwalk. Instead of things just hanging on the wall, it's atmospheric. A glass blower, surf art, painted seascapes, and it's all tucked into these cool, repurposed shipping containers. In fact, it's the first art gallery in Wildwood and, for its unique concept, artBOX was awarded the 2014 IAAPA Brass Ring Judge's Choice Award. LTK: What are your top five MUST DO's at Morey's Piers? KF: Honestly, there is so much to see and do, but I think my top five are pretty good. The Tuesday and Thursday Specials with $25 wristbands until 6pm. It's a really great deal. I know I have said this before, but I have to have Dollar Dogs on Mariner's Landing on the list. Who can pass up genuine boardwalk dogs for $1.00? The Great White at night on Adventure Pier. If you think that riding it in the daylight is full of screams just try it in the dark. The Giant Wheel on Mariner's Pier, especially because it's the tallest Ferris Wheel on the east coast. Finally, it has got to be racing your friends down WipeOut in Ocean Oasis and using the WildTRAX app to see whose on top of the leaderboards! LTK: Is there anything with its own twist at Morey's Piers that only a 'real' insider might know? KF: Okay, this is really something unusual. And a bit crazy. The first time that Will and Jack saw the menu was when they were eating there. We then found out that Will actually really likes pepperoni pizza. He would probably say he likes it more than Jack does and they should switch names. Whoopsie! Maybe we should have checked. I think insiders will now see why the full name of the restaurant is Stubborn Brother's Beach Bar & Grill. Whether you have the need for speed and want to get your rollercoaster on, have a passion for water parks, want to get away from it all, or simply looking for a great outing for the whole family, Morey's Piers brings you all that and more. With its variety of rides, attractions, and food options on the beautiful Jersey shoreline, Morey's Piers makes for a perfect boardwalk getaway.